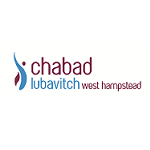 Chabad House’s Young Professionals Division is one of the most popular groups for young Jews in London! Hundreds of singles participate in the Shabbat dinners, barbecues, festivals, lectures, Seudah Shlishit gatherings, and other special activities organized throughout the year. We often host exclusive Friday night dinners for young professionals!